Looking for The Bargain Queen? 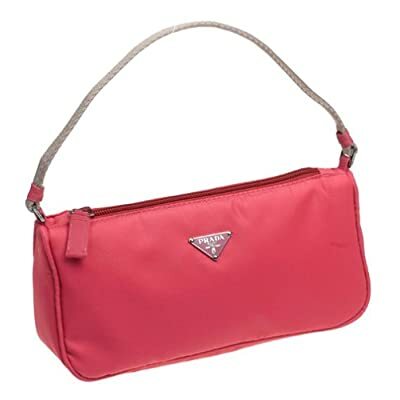 The official Bargain Queen web site is now at thebargainqueen.com. The Bargain Queen has moved and improved! The new URL is www.thebargainqueen.com, so please take a look (and update your bookmarks and/or blogroll links). If you're reading this in the newsletter, no need to do anything - newsletters will continue as usual. PS: If you have any problems viewing the site, please email me so I can fix it. OK, I'm begging and grovelling a little today. Please don't give up on me! It's been a few days since I posted because I'm having technical difficulties. Long story short, I'm switching to Wordpress and that means coding a whole new template. Ugh. I would love to be blogging rather than wrestling with the tech, and as soon as I get this sorted, I will. I'll be back soon... and I hope you'll come back and see me then. She's working on some technical stuff (new domain name, new hosting and a switch to Wordpress) to make this blog even better. Her offline life is hectic. She's had to organise the mother of all fire inspections tomorrow, which meant consulting owners, tenants, the local Council, two fire engineers and too many other people to mention. Dull but necessary. Just be aware that some of these categories offer riskier buys than others. When you buy jewellery or antiques from a reputable dealer, you get their guarantee that the item is what it's purported to be; on eBay there are no guarantees. Likewise, when you buy computer gear in a store, you pay someone to tell you if it'll work with your existing equipment. If you know a lot about jewellery, antiques or computers you can probably get some great bargains; if not then buying retail's a better idea. As for handmade items and records, there's much less to beware of (and you're usually only risking $2-15) so take a look for some great bargains. 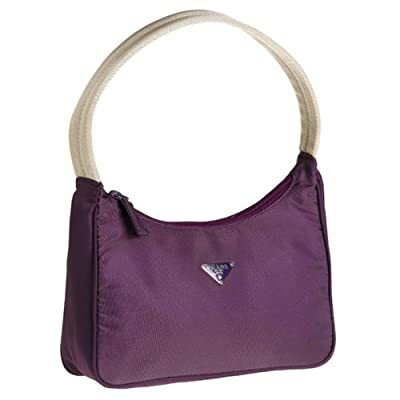 Real Prada handbags for under $50! These are likely to sell quickly, so if you're interested, grab them while you can! The Bargain Queen posted a few months ago about her impending renovation, but hasn't talked about it since. It takes a LOT to make her shut up, so let's find out what's going on. As everyone knows, renovating is very little fun until it's finished. There's not a lot of glamour along the way. Since I'm all about living the most glamorous life my budget allows, living in the mess isn't delivering a great deal of satisfaction. I don't even want to have friends over because our apartment's such a mess, so there's no way I want to post pictures of it online! I knew this would be the case before I started (I lived through two of my mother's renovations) but it's the best option we've got at the moment so we decided to do it. I've also had moments of sheer desperation about the mess here. I'm normally a neatfreak but we have no storage yet so I can't keep the place tidy. This makes me crazy because losing things brings out the worst in me. First I get angry, then I'm upset, then I have idle paranoid thoughts about neighbours stealing my stinky jeans from the laundry. Yes, I know that's insane. (I guess that's why the therapist I asked about it told me I didn't need her help - apparently having one or two neuroses is normal.) I've lost more things in the two months since we moved than I did in two years in my old place, so I wanted to stay quiet about going slowly insane and find happy things to post about instead. I realised today that I'm looking at this the wrong way. Living in an untidy, unappealingly decorated place for a while is the price you pay for renovating... along with many thousands of dollars. The upside is that the place will look amazing when it's finished. So this isn't really slovenly living, it's a temporary state on the way to something better. I've decided to call it 'delayed glamour' so I think about it more positively. Stay tuned to see more of our dump renovation in progress. The Bargain Queen wrote about the alternative healthcare options she's tried and wanted to share some new information. This is probably most relevant to people with chronic, incurable health issues, although everyone uses healthcare services some of the time. A couple of months ago, The Bargain Queen stopped using all the alternative therapies she was taking. This wasn't by design; it was simply the result of moving house, being disorganised and having too many other things to deal with. The result? She feels better than she has for months. While her pain levels are the same and her skin has lost that hyper-nourished glow, she also has an enormous amount more energy. She's gone from resting for 18 hours a day, to a manageable 10 to 12 hours. Now all of this could be coincidence, or it could be due to the peaceful environment in her new house. But she's also very aware that whatever benefits all those herbs and supplements were giving, she's not missing them now they're gone - which makes her wonder a little about what she was paying for. With each new 'miracle' treatment she's told about, The Bargain Queen gets a clearer sense that what they actually offer is hope. It would be wonderful if there was a cure for her illness. She'd love to be pain free, full of energy and able to go back to work. Every time someone says they can make that possible, she wants to believe them because she'd desperately like it to be true. The inevitable disappointment when yet another 'cure' doesn't work is psychologically harder than accepting the illness and making the most of the good things that are left. When you pay hundreds of dollars for a 'cure' and you end up feeling worse, it's easy to feel like an idiot afterwards. This has made The Bargain Queen think very carefully about using any further alternative therapies. Her condition won't kill her, so her options are a lot broader than 'fight or die'. She's still happy in spite of the illness, because while the it's taken a lot (job, social life, super-athletic body) she's still got a wonderful husband, great friends and enjoyable hobbies. She's also fortunate enough that she and Mr Bargain Queen can survive financially, albeit on a tight budget, when she's not working - which makes her a lot better off than most people. So for now, The Bargain Queen's giving up on herbs and supplements. That's not to say they're useless; maybe they do work for other people. But considering the improvement in her condition when she stopped taking them, The Bargain Queen's unconvinced that they were giving her value.